I wanted to explain how exactly a “Death March” project looks like. How you can identify it. And what general decision you have to make if you face a Death March project. Due to the bare amount of information I have to split this topic into two episodes. In the second one you will finally get a general guidance how to tackle “Death March” projects. Stay tuned and be inspired. 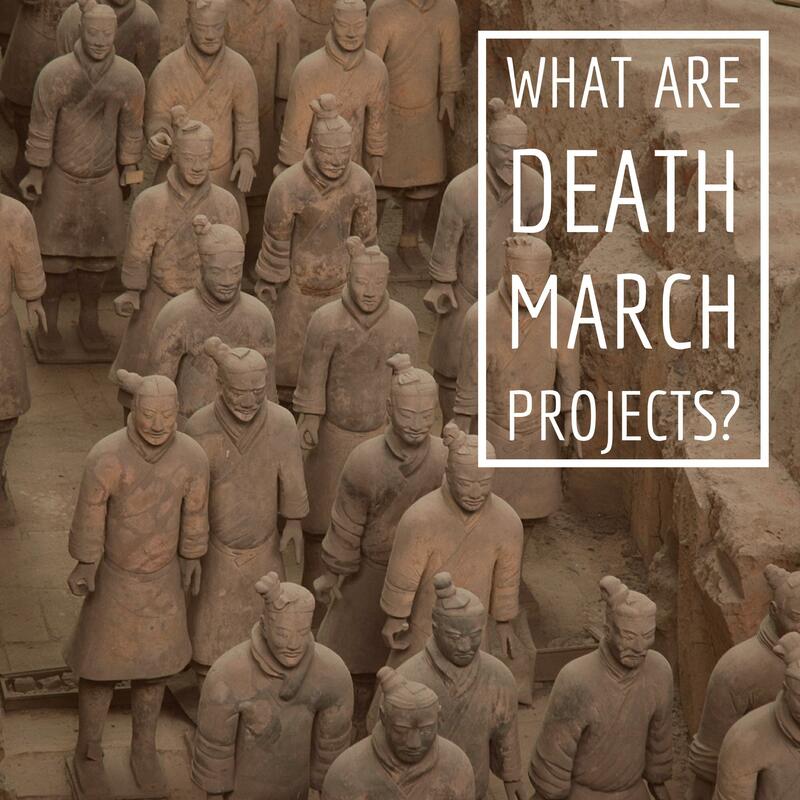 How can we define “Death March” project? What are the four major constraints identifying a “Death March” project? 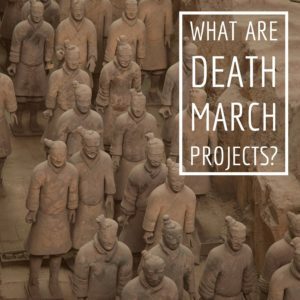 Why do “Death March” projects happen? Why do people participate in such projects? What is the key point you need to understand? What are the benefits and disadvantages when leaving? What are the pros and cons when staying? Out of all the podcasts available in the Internet you tuned into mine, and I’m grateful for that. If you enjoyed the episode, please share it by using the social media buttons you see at the bottom of this note. Also, I would be very happy if you would consider taking the minute it takes to leave an honest review or rating for the podcast on iTunes or Stitcher. They’re extremely helpful when it comes to the ranking of the podcast. For sure I read every single one of them personally! Lastly, please do not forget to subscribe to the podcast on iTunes or stitcher. A shortcut is available on the right side. You will get your updates automatically every time a new episode goes live!